Earning credits doesn’t cost you anything, other than a little time. Maybe you’re going to spend a few hours away from the computer watching some football (or, if you’re like me, some futbol). Perhaps you’re going to spend some time with the family. And we all need to sleep sometime. 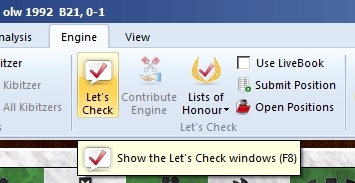 It’s during these times, when using your computer isn’t a critical task, that you can best earn “Let’s Check” credits by analyzing positions submitted by other users. The best part is that the process is automatic; you don’t have to do a thing except click a couple of buttons to start the process. …then selecting the engine we want from the scrolling list, and setting the hash table size and other parameters by clicking the “Advanced” button. 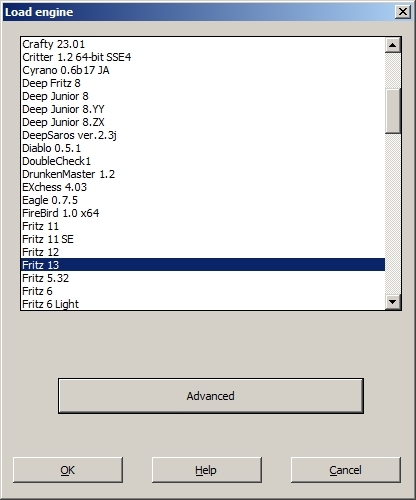 You can use any engine for this purpose (as long as it will run in the Fritz13 interface, obviously). The bar gradually turns green as the engine’s analysis of the current position nears completion. You can later “spend” these credits to submit positions you choose to the “Let’s Check” community for their engines to analyze (“returning the favor” so to speak). When I’ve said in blog posts and “how to” videos that Fritz13’s “Let’s Check” users are a worldwide community, that’s no exaggeration or mere hyperbole. 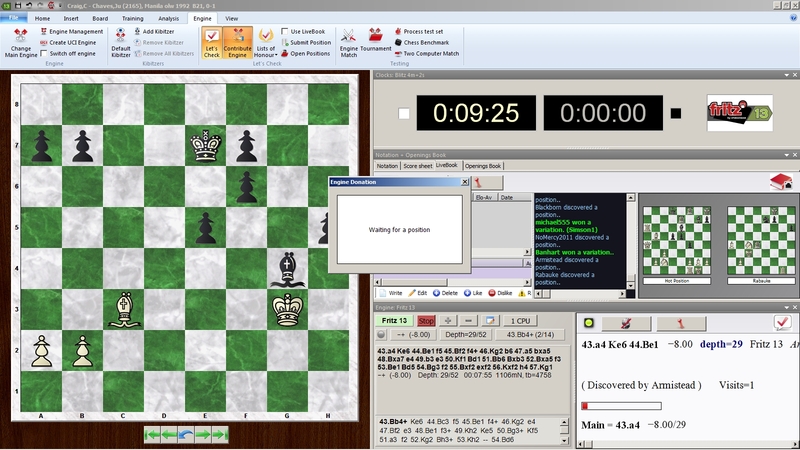 Scores of chessplayers from around the world are helping each other out by analyzing chess positions and submitting their own interesting positions for analysis. 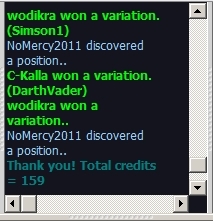 So please keep in mind that you can use your own “computer downtime” to run this automatic analysis function, thus helping other players, and be rewarded in turn with credits which allow you to submit your own “knotty” positions for analysis (as we saw in the last post to this blog). 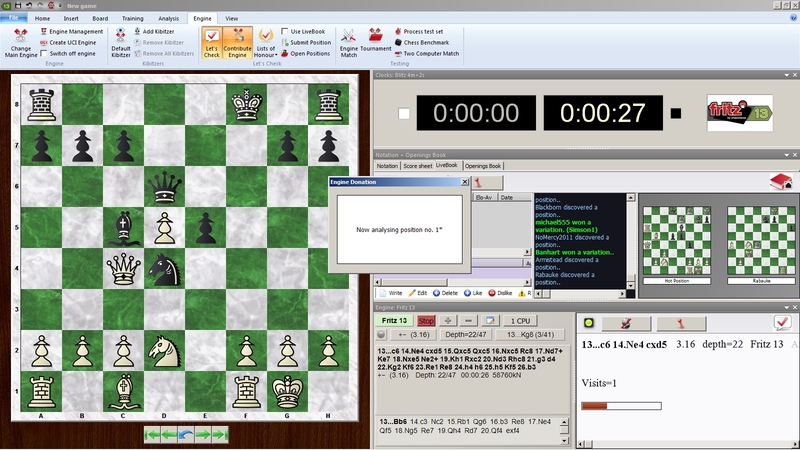 By the way, Fritz13 is available right now from USCFSales.com, the place to go to satisfy all your chess needs!